Al-Abadi met with journalists after the United Nations general assembly, and shared the warnings of the upcoming attacks. He stated that he has relayed the information to American and Parisian leaders to plan for any attacks. The extent that ISIS will go to get their message across is evident in the horrendous tactics that they have used thus far. The beheading of journalists and young Christian children sent waves of disgust throughout the world, yet with the force used against them, there seems to be no stopping them. At face value, ISIS appears to be more dangerous and destructive than the Al Qaeda that was around in 2001. 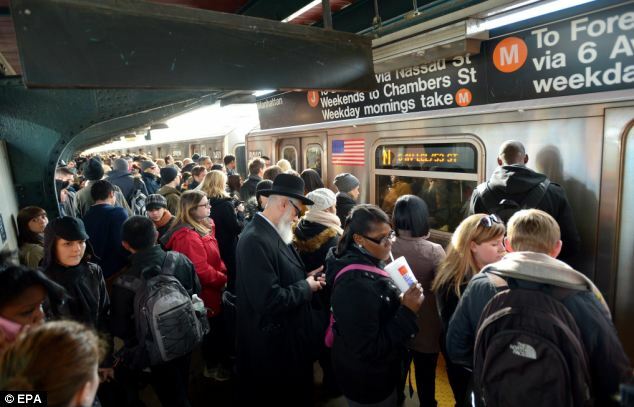 The threat of ISIS attacking the New York subway system is frightening. The thought that sleeper cells are here in the United States awaiting the call to action may be more frightening. Democatic senator Bill Nelson of Florida shared his views om ISIS and the real threat that they pose. New York City and Paris may only be a testing ground for their international terrorist attacks. If successful, there is no telling where they may show up next. CNN has shared the American fear that ISIS is living in the United States and that most Americans would support militant action. News of the subway attacks is still fresh, and there is little, if any, further information. As new information arrives, updates will be supplied.